Looking for Tessel 1 docs? Look here. Welcome to the Tessel 2 documentation. All of the information you need is separated into three sections at left: API, Debugging, and Tutorials. If you are looking for information on how to use Tessel or one of the Tessel modules, look in the API section. Looking to learn more about hardware and how to create it? Check out the information in the Tutorials section. If you are here to debug an issue or get up to speed on the open source project, the Debugging section should help you, particularly the Technical Overview. Looking for information you can&apos;t find? Please report incorrect or missing information as an issue on the Tessel 2 docs repo. Tessel is an open source project under open governance. Read more here. 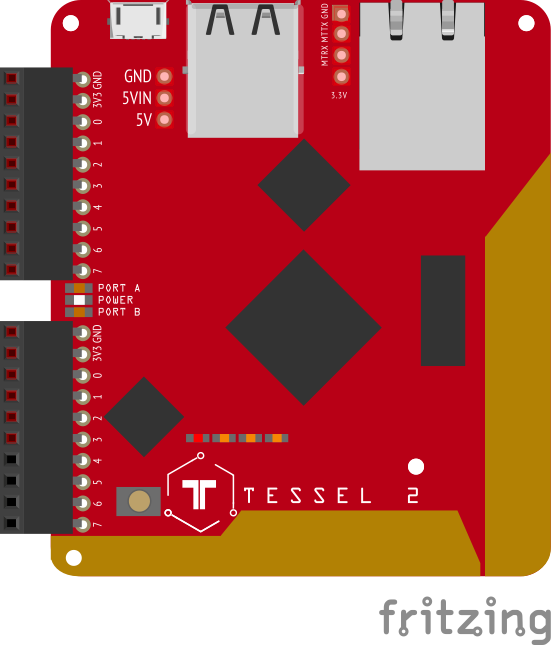 Get involved: The Tessel project welcomes contributors! Get started here and reach out if you have any questions. License: This documentation repo is CC-BY-SA 4.0 licensed.